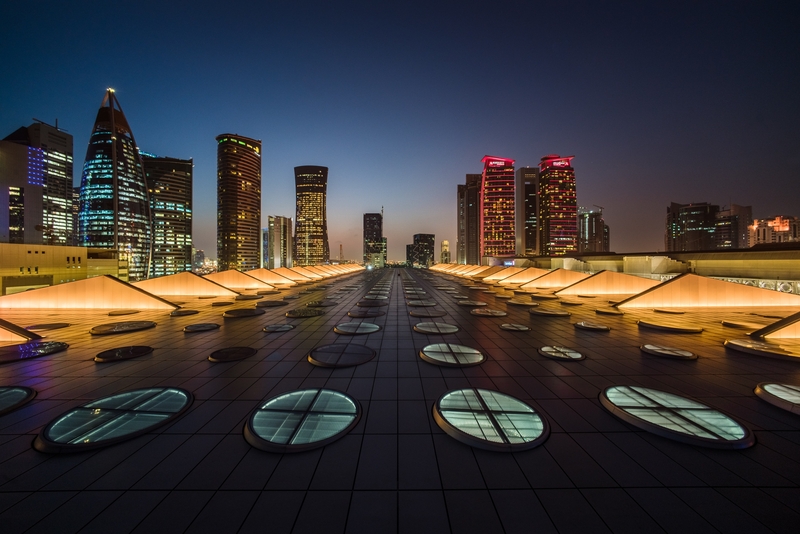 Located in the heart of the West Bay, the new downtown of Doha, Qatar, the Doha Exhibition Center consists of a large exhibit hall, conference suites and a VIP lounge. 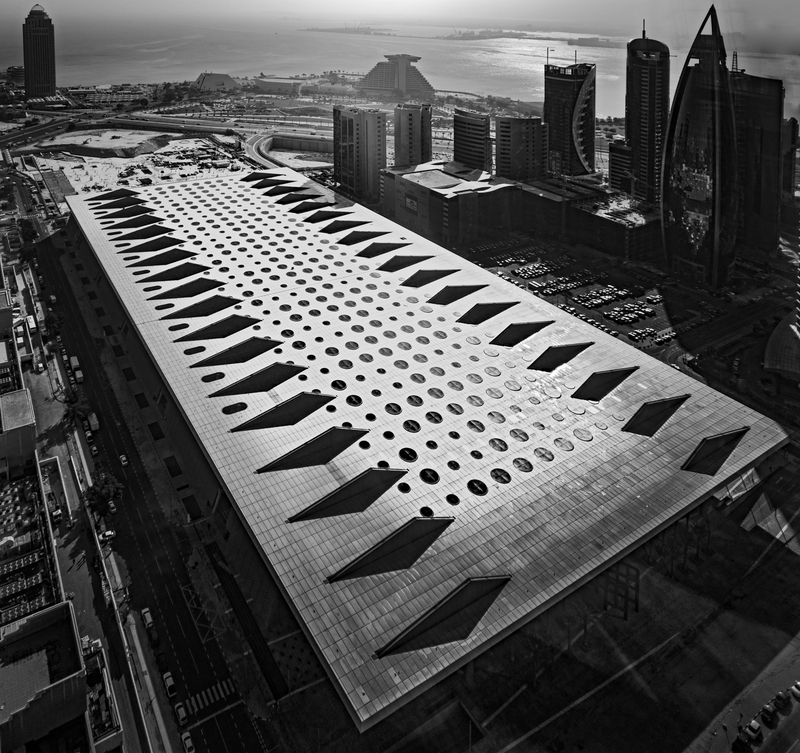 With an area of over 29,000 square meters, the main hall of the Doha Exhibition Center is one of the largest single exhibit spaces in the world. 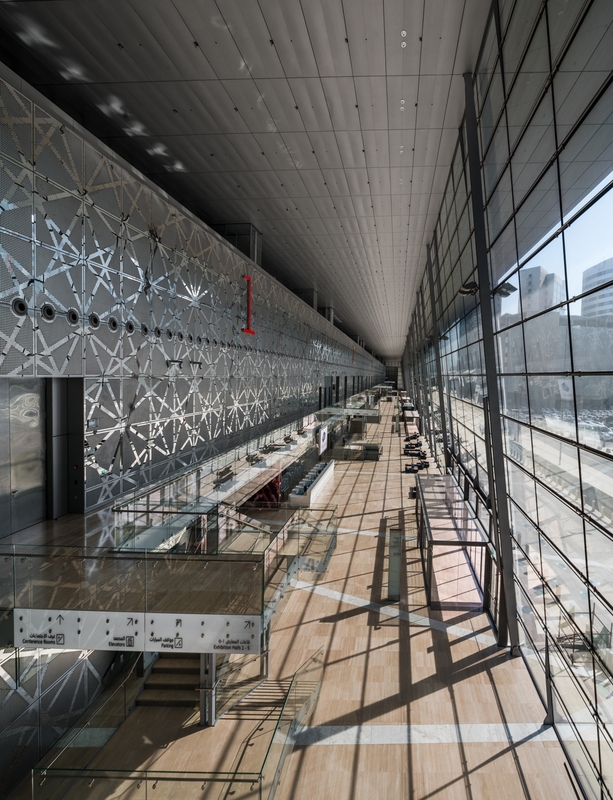 Operable partitions, which are some of the tallest moveable walls made, are able to divide the main hall into five individual halls that function independently of one another, with each having dedicated entrances, loading, food services and guest facilities. 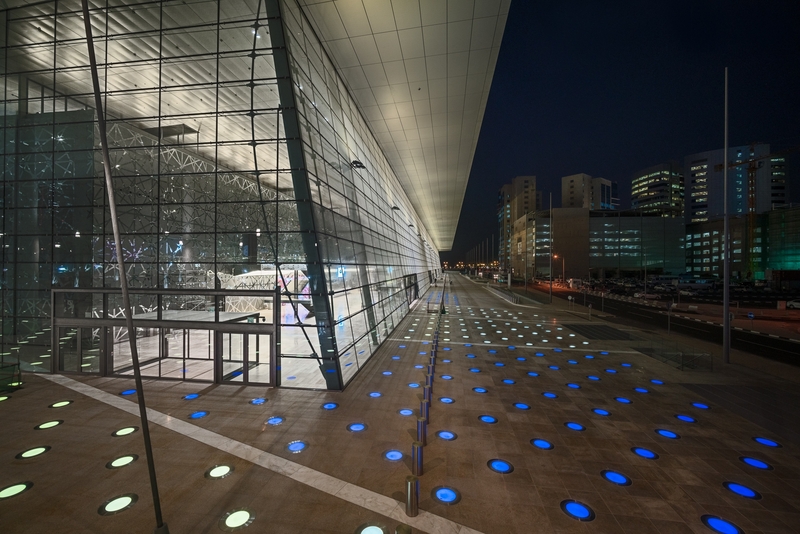 Exhibit halls have fully finished ceilings and walls so that special events can be held without installing a temporary interior.